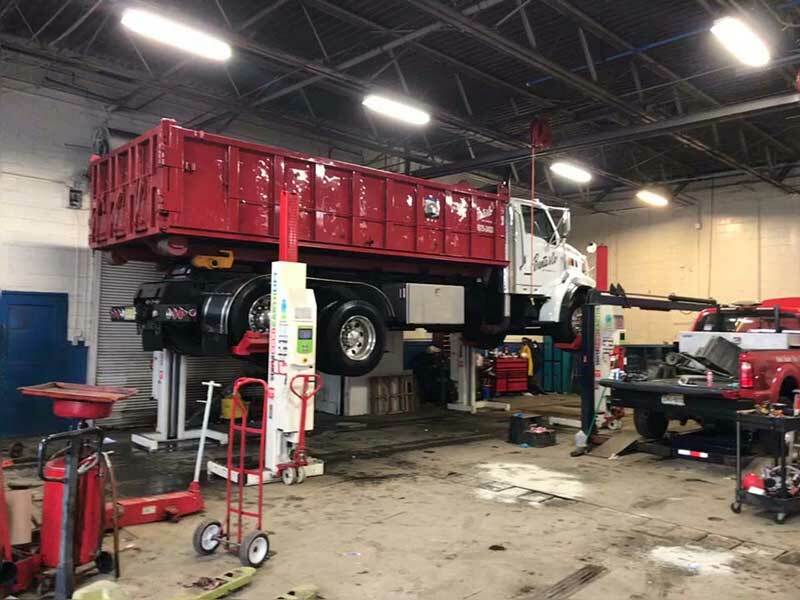 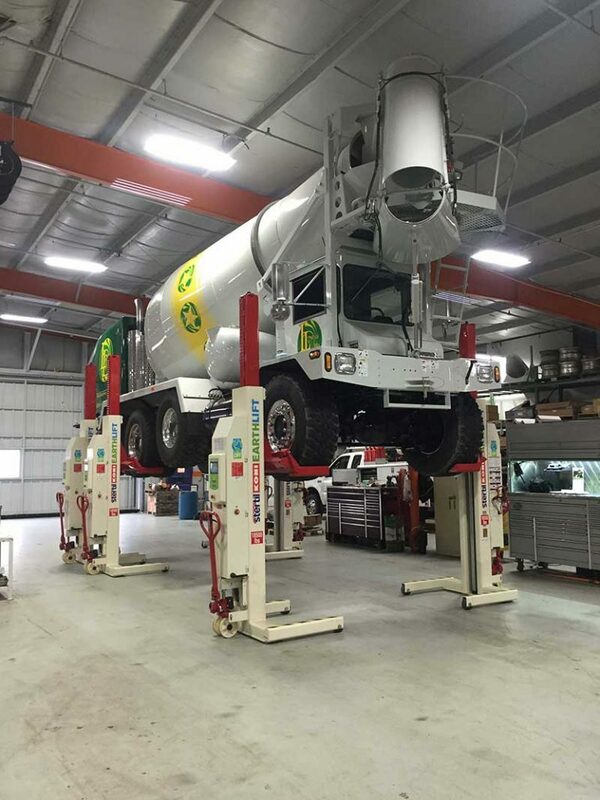 At Hoffman Services, we deliver top-notch servicing, repair, and maintenance of heavy duty and light duty lift equipment over its entire life. Whether the lift was made in the USA or Europe, we have x an extensive inventory of parts and rock solid connections across the globe. 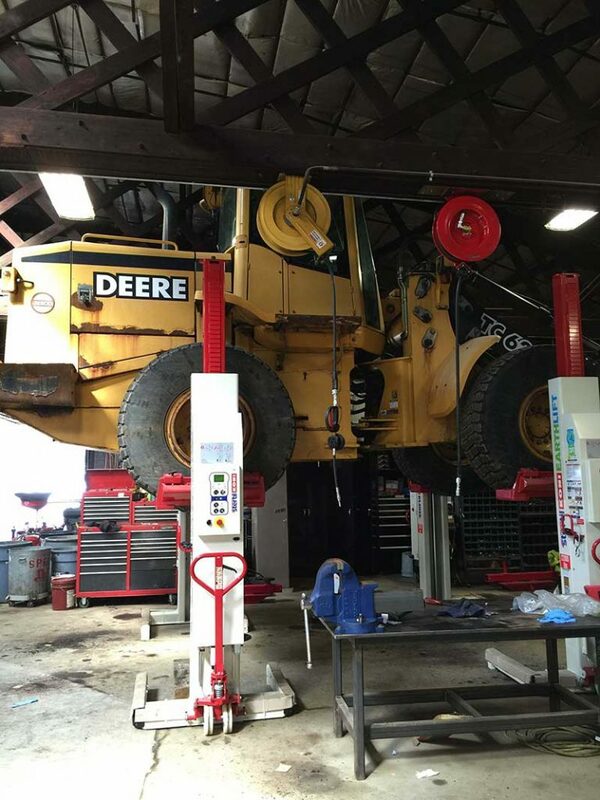 If we can’t fix it, it’s not worth fixing. 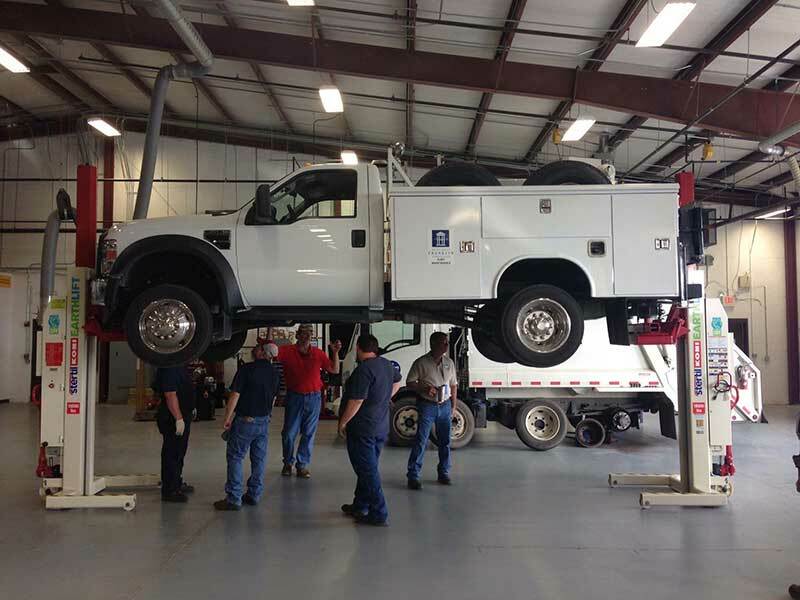 Our experienced technicians bring extensive skills and know-how to lift repair. 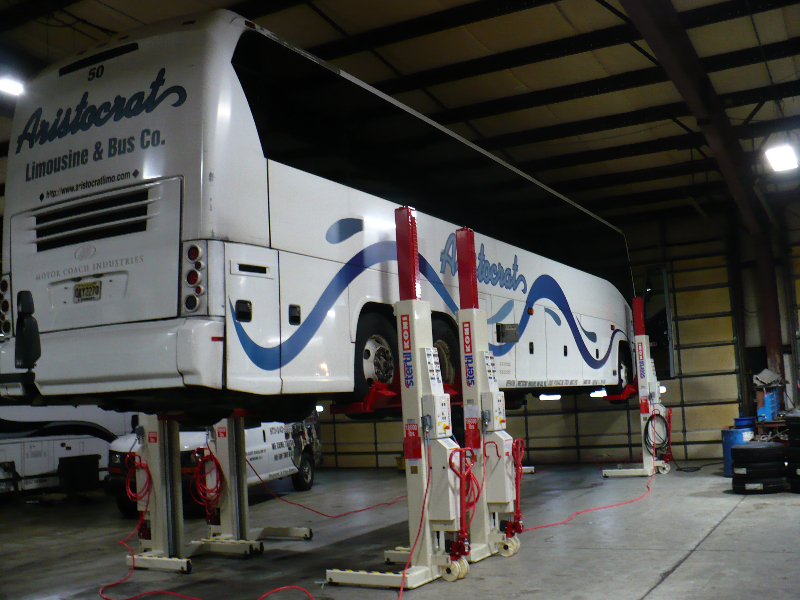 In fact, we’re known as the ‘go to’ company in the industry. 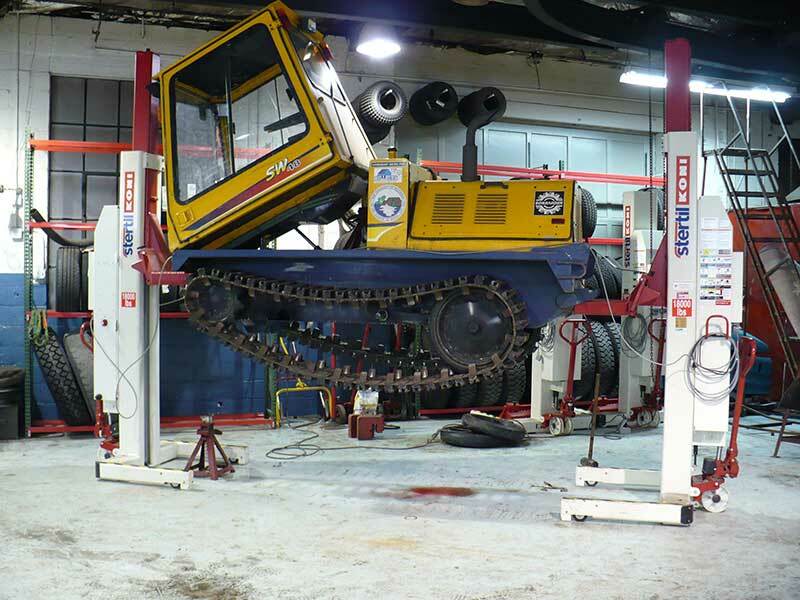 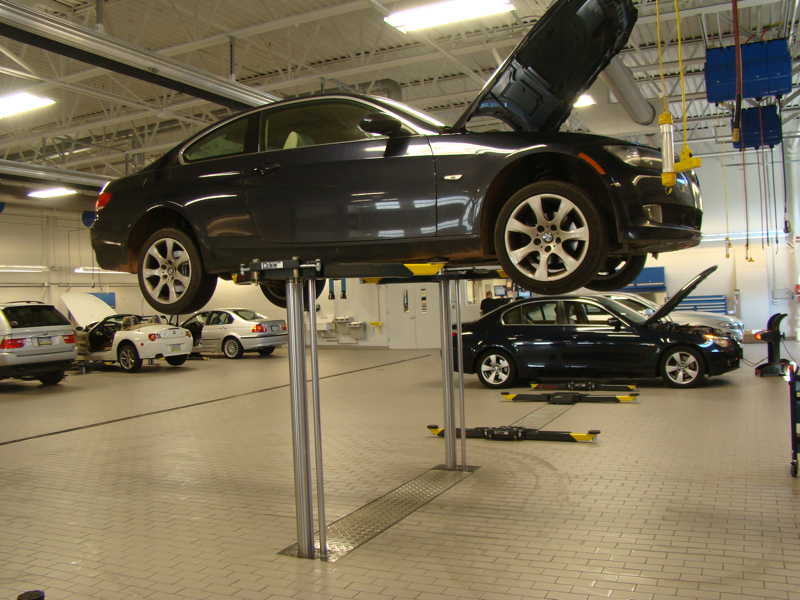 Because we’ve been in the automotive lift business for generations, our knowledge is deep and unsurpassed. 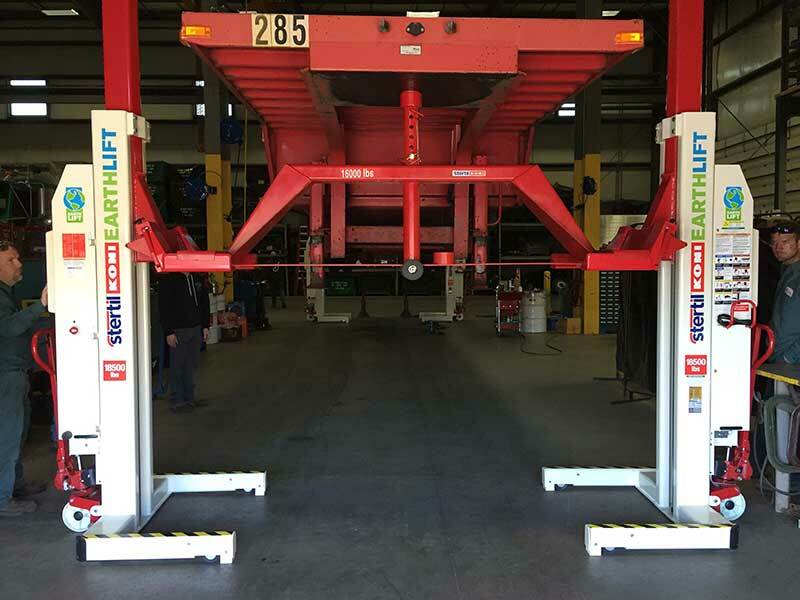 We also keep up-to-date with innovations and breakthroughs with team members invited to advise on lift safety for US government standards. 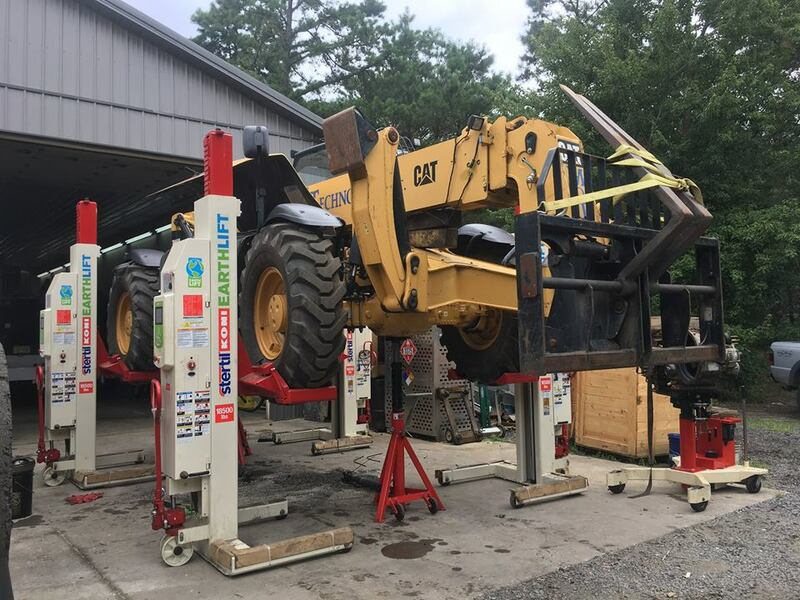 Whether you bought from us or not, we’re happy to service, repair, and maintain your heavy duty and light duty lift equipment. 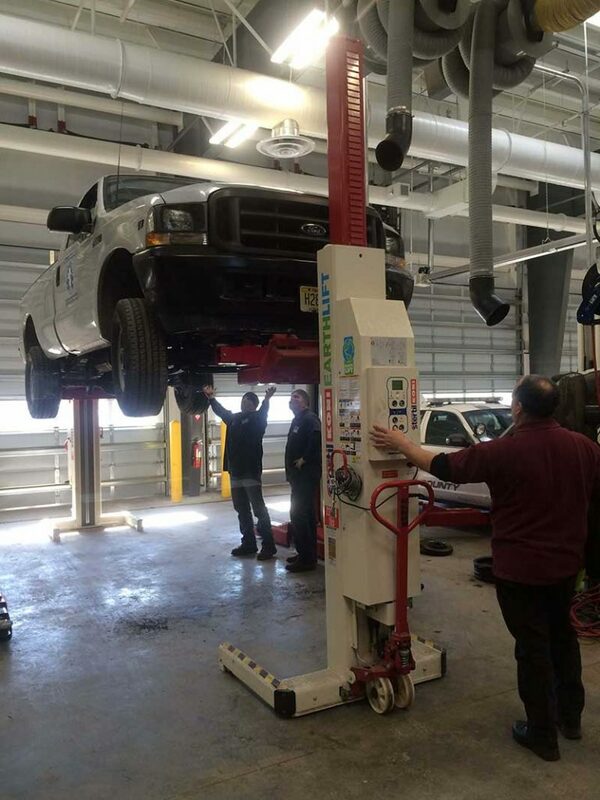 It’s an investment worth protecting. 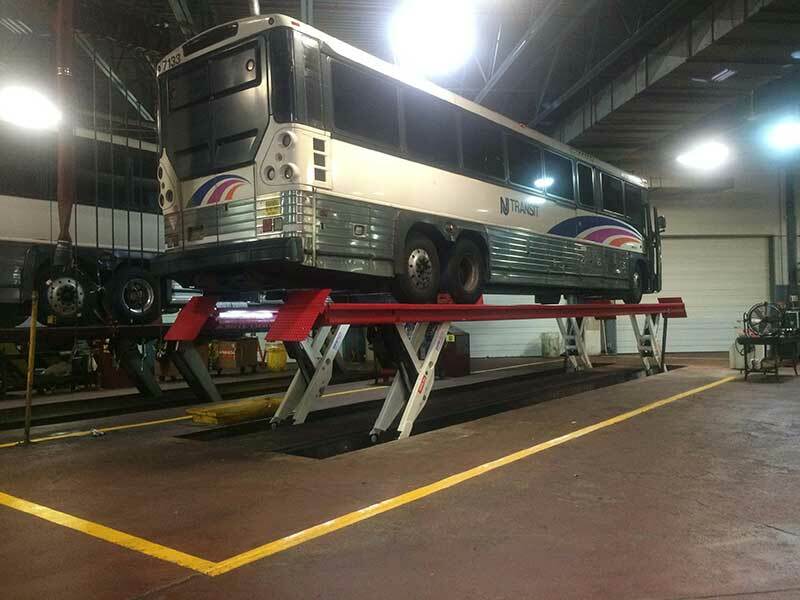 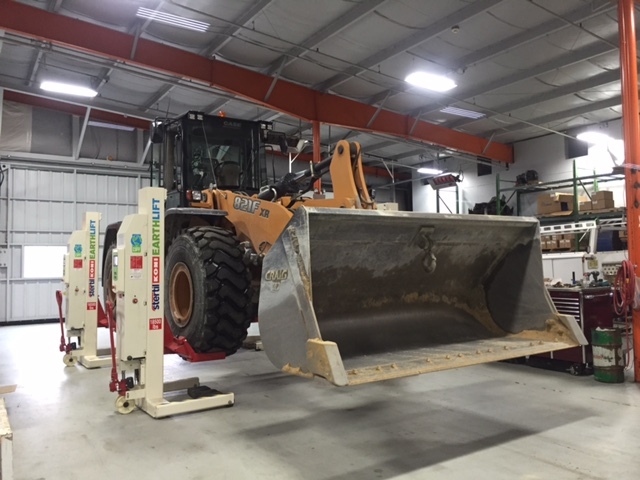 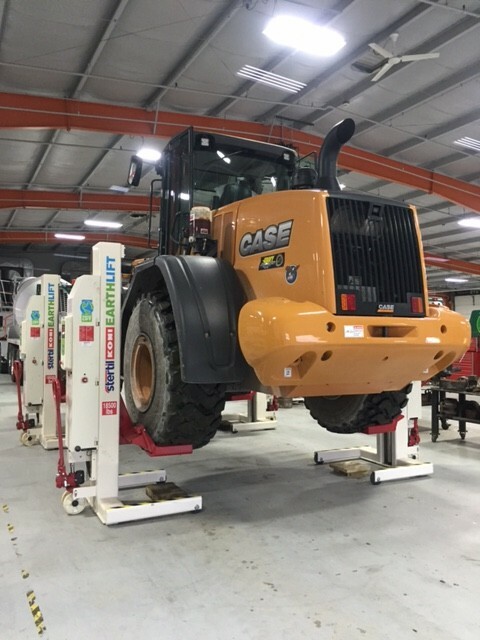 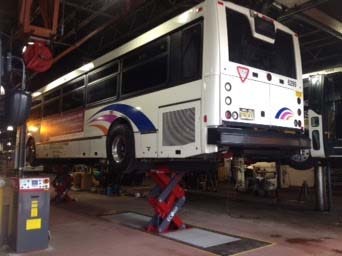 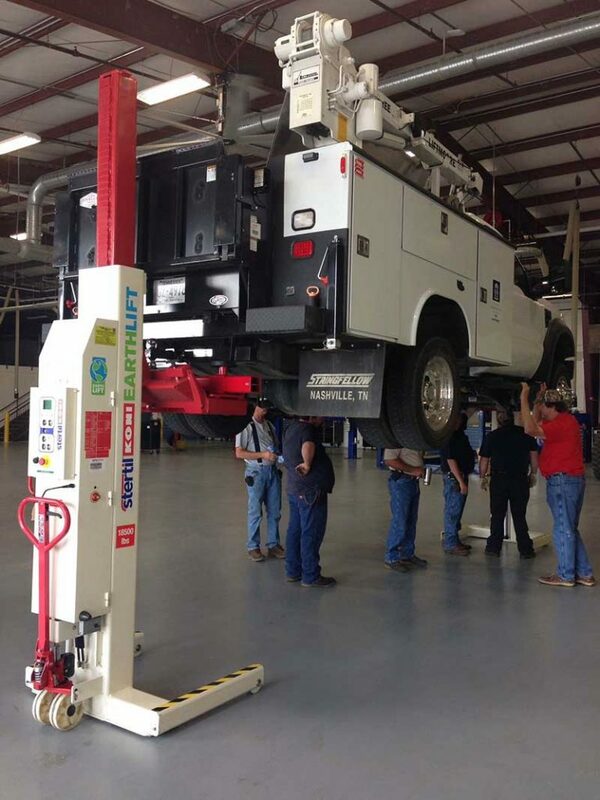 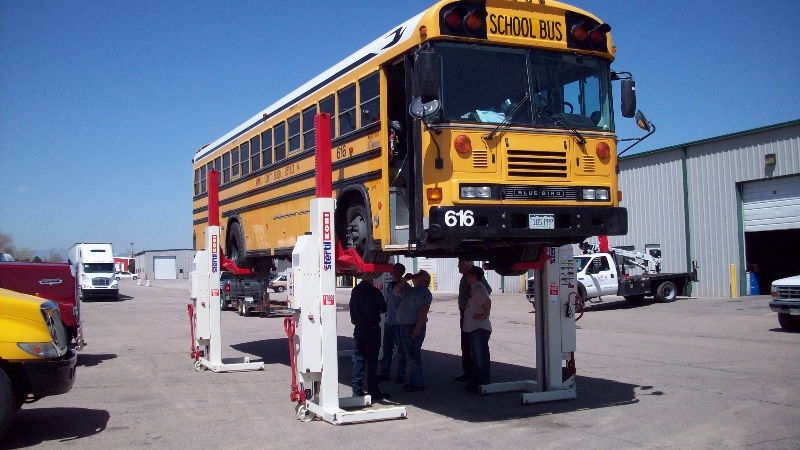 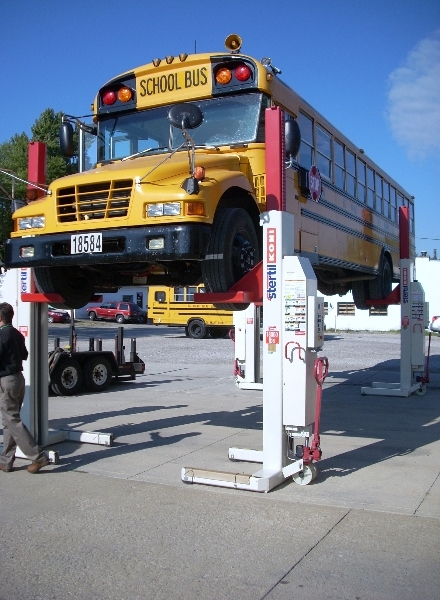 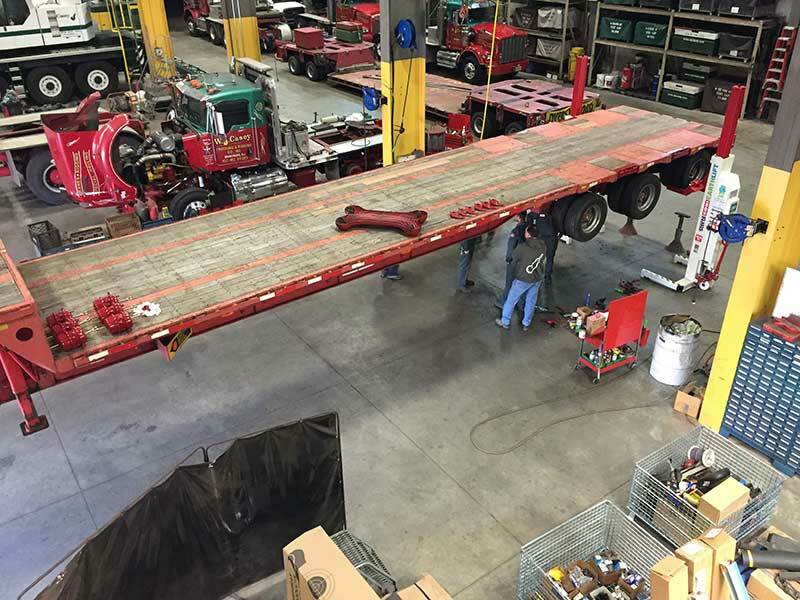 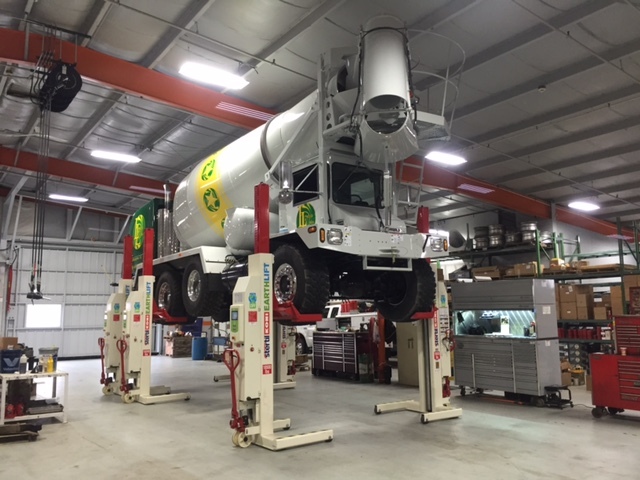 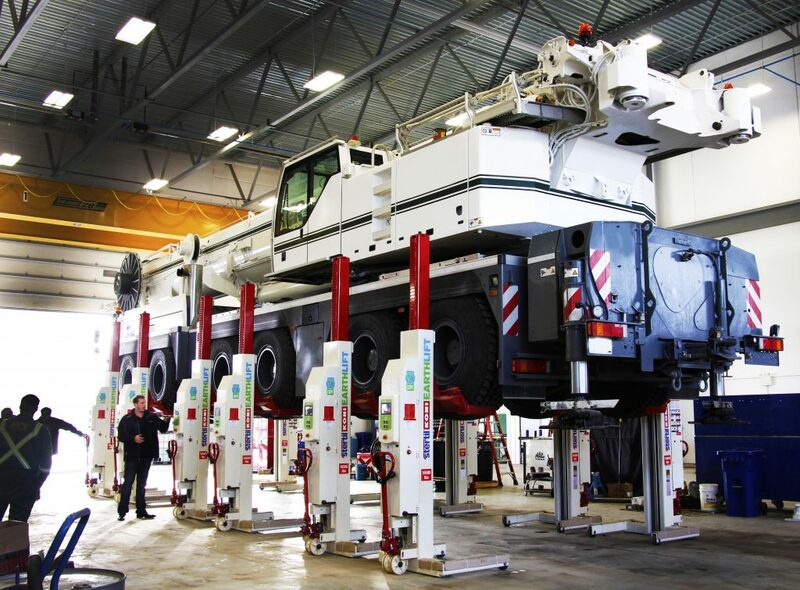 Hoffman Services also offers generous trade-ins for heavy duty mobile column lifts. 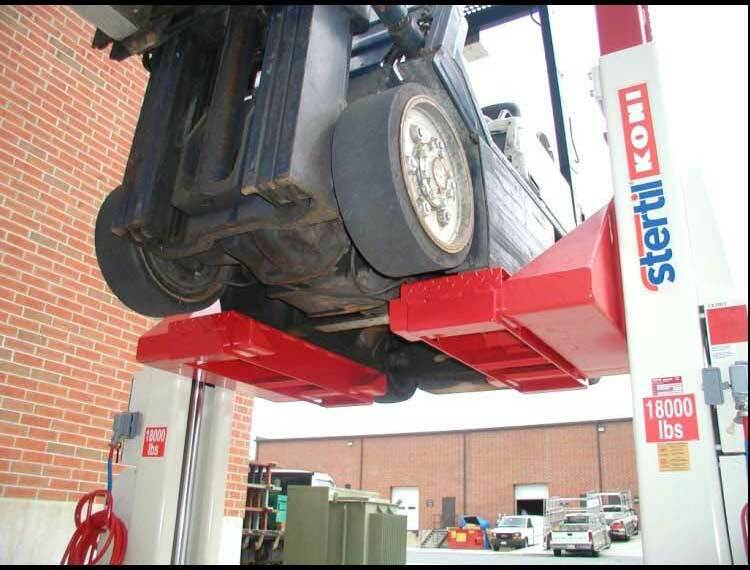 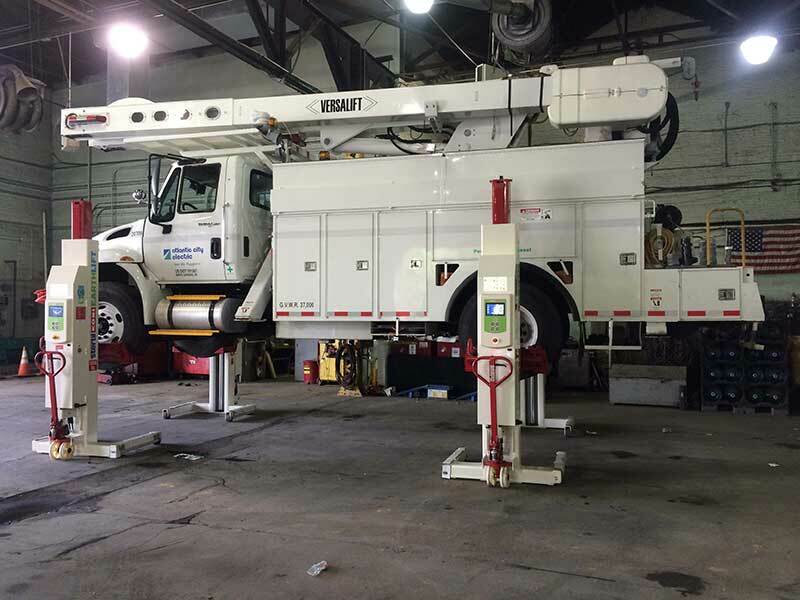 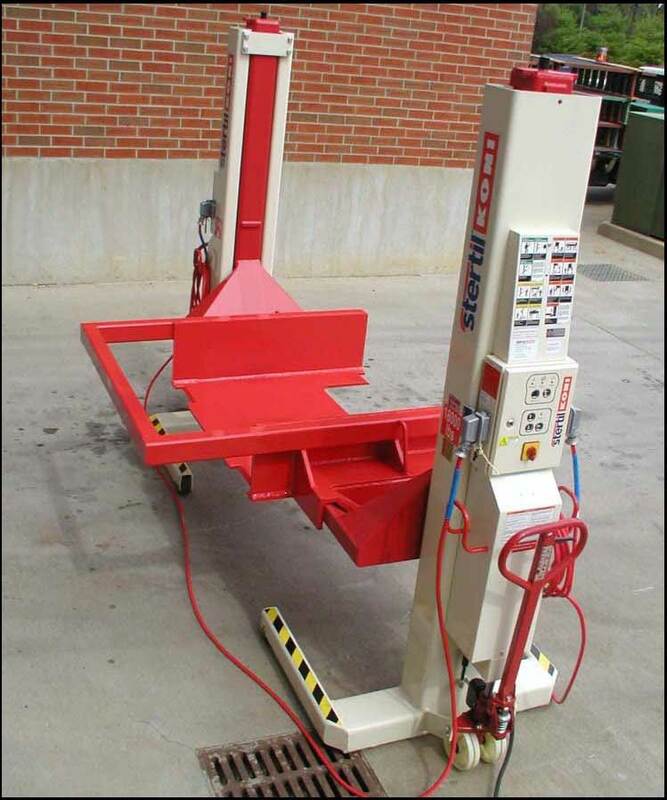 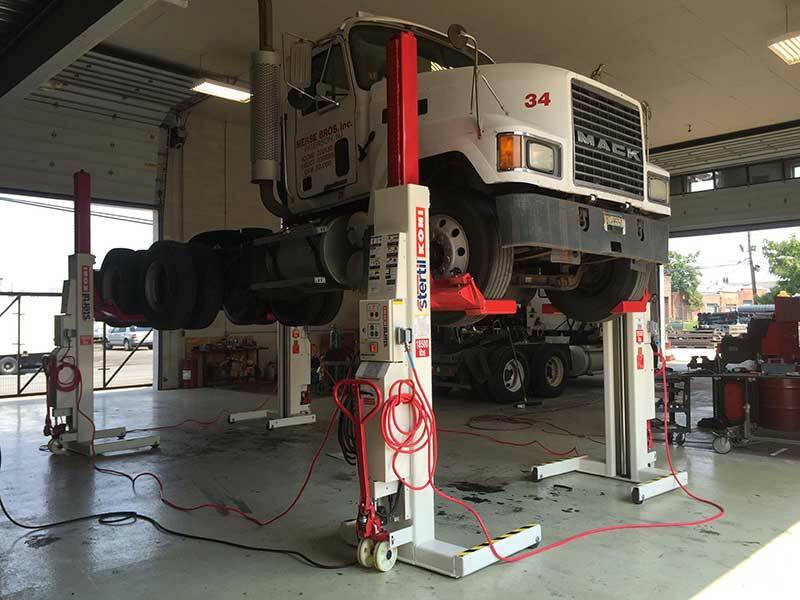 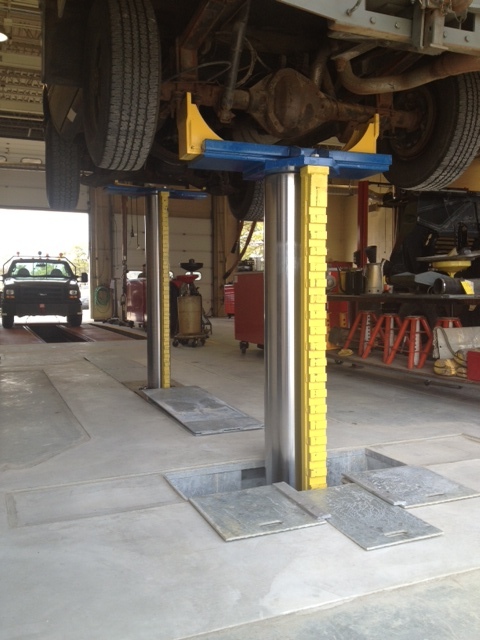 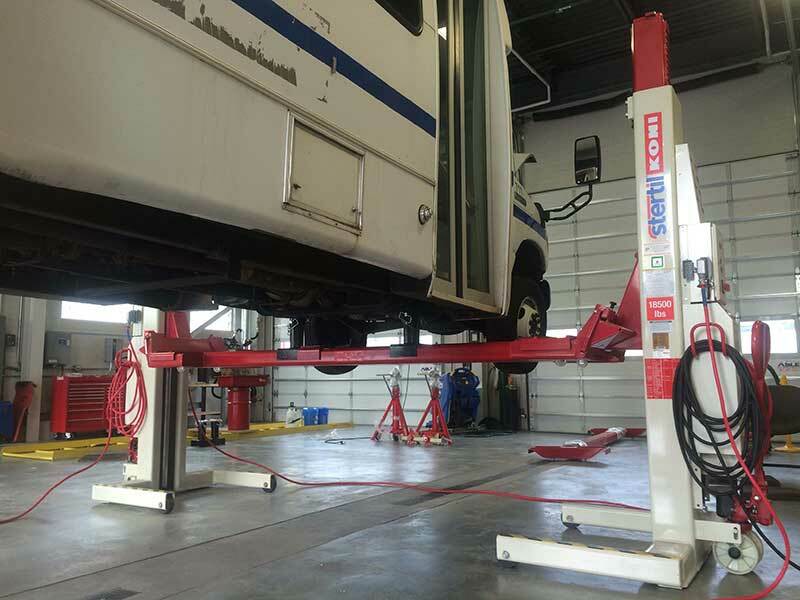 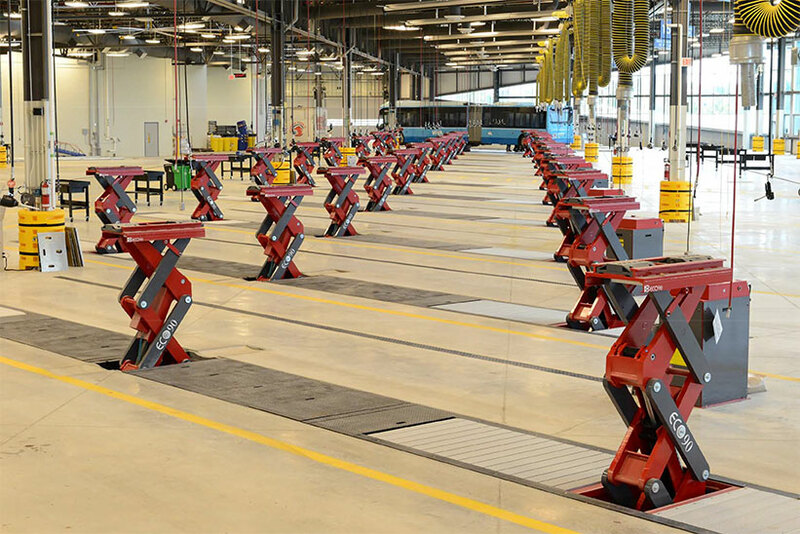 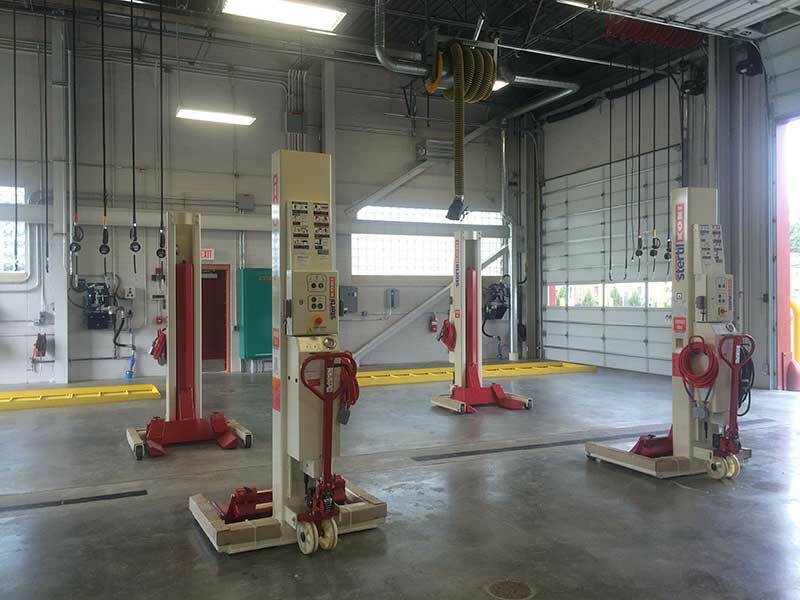 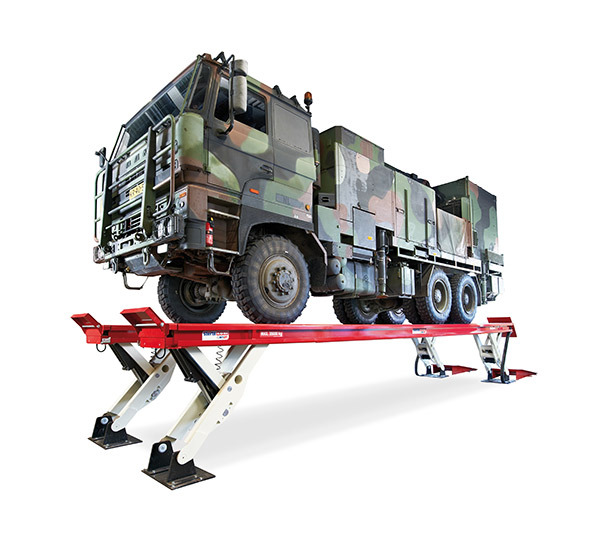 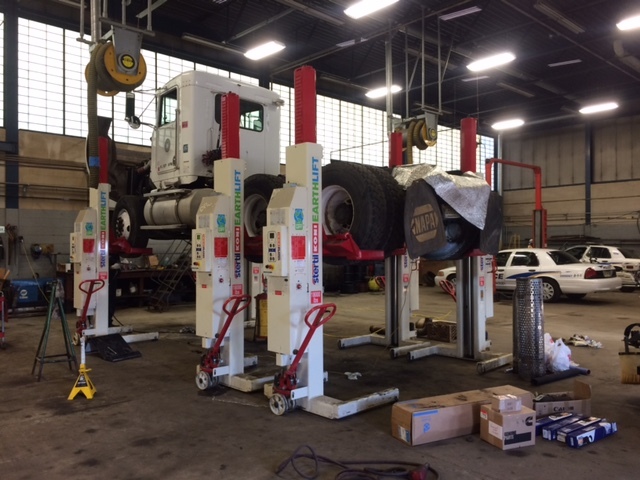 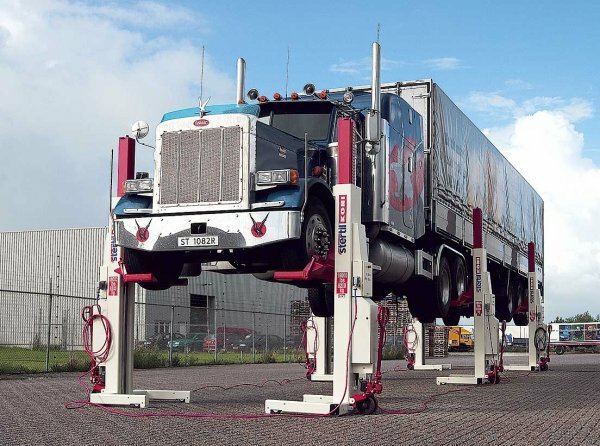 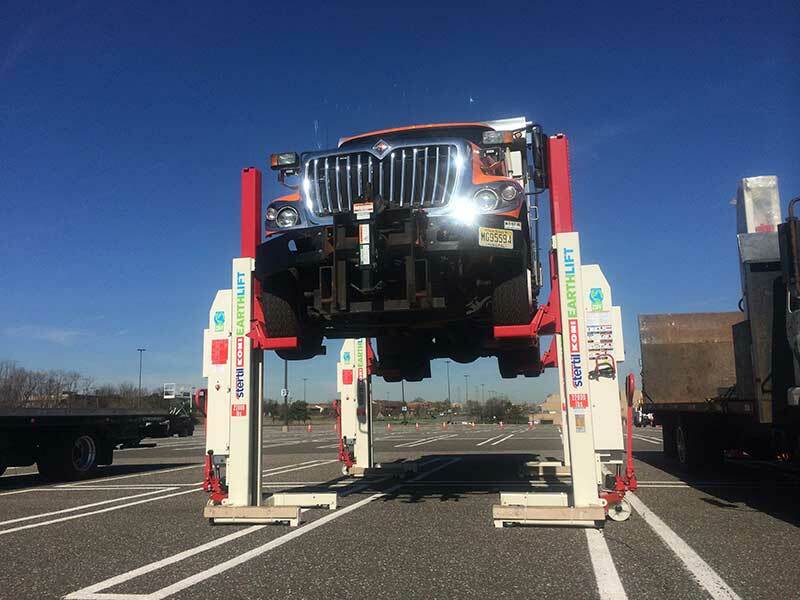 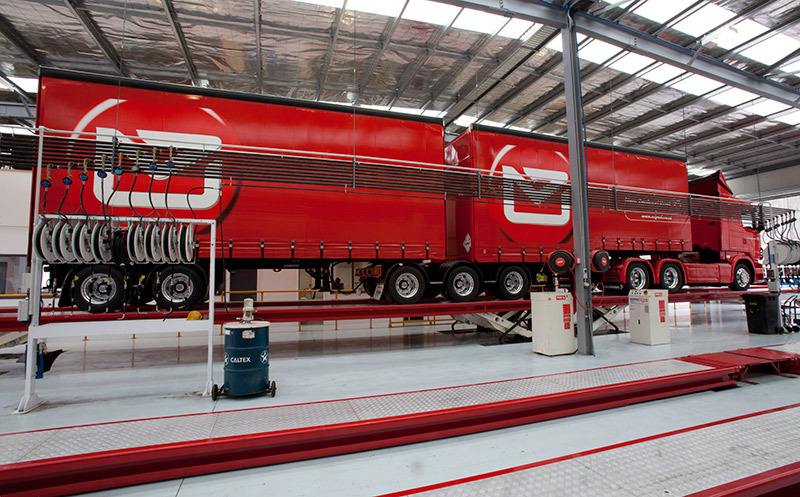 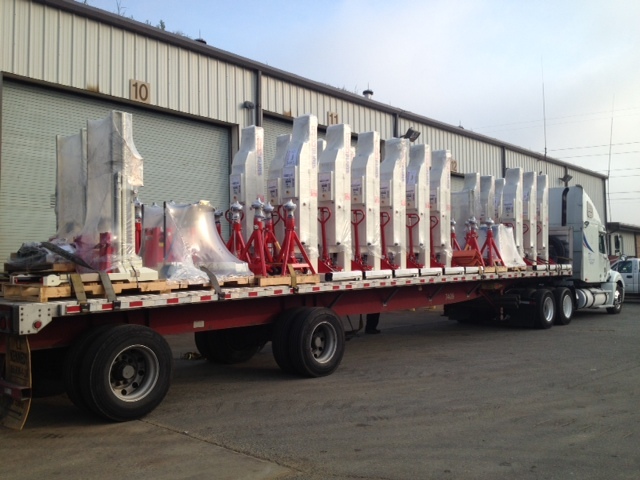 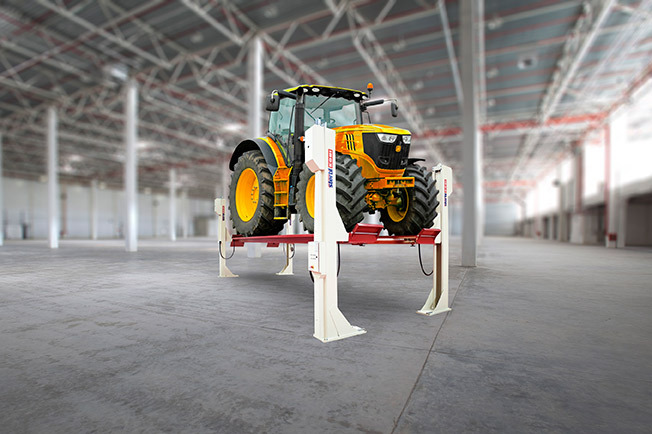 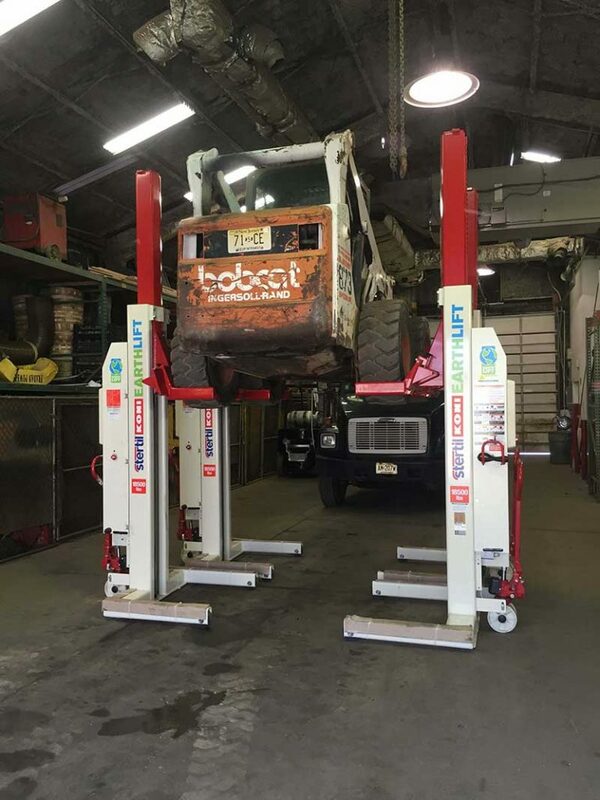 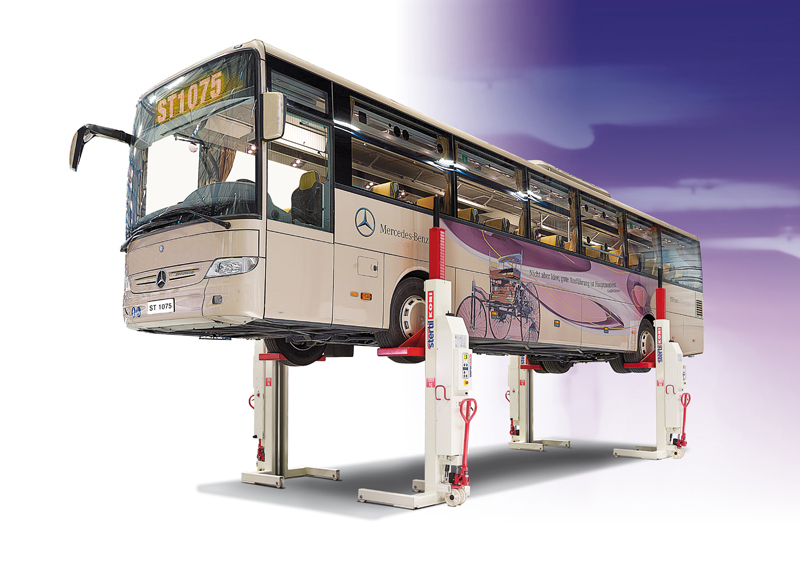 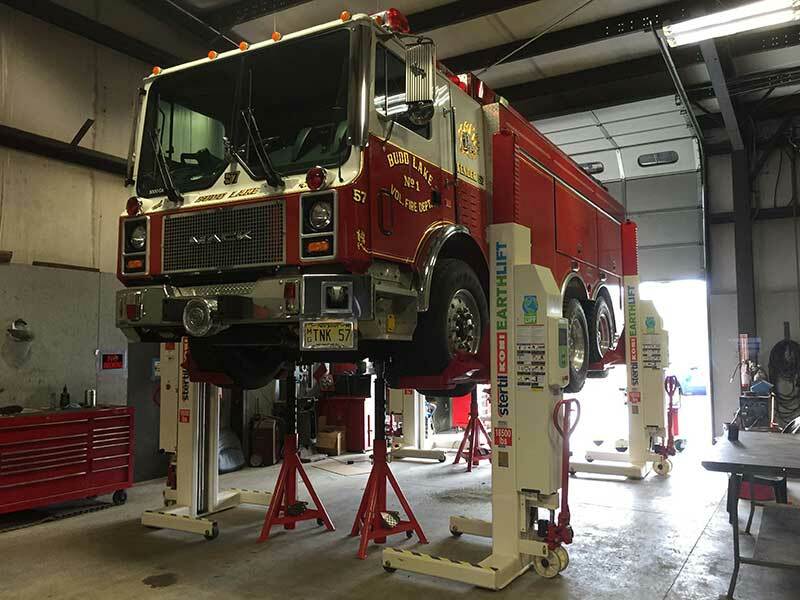 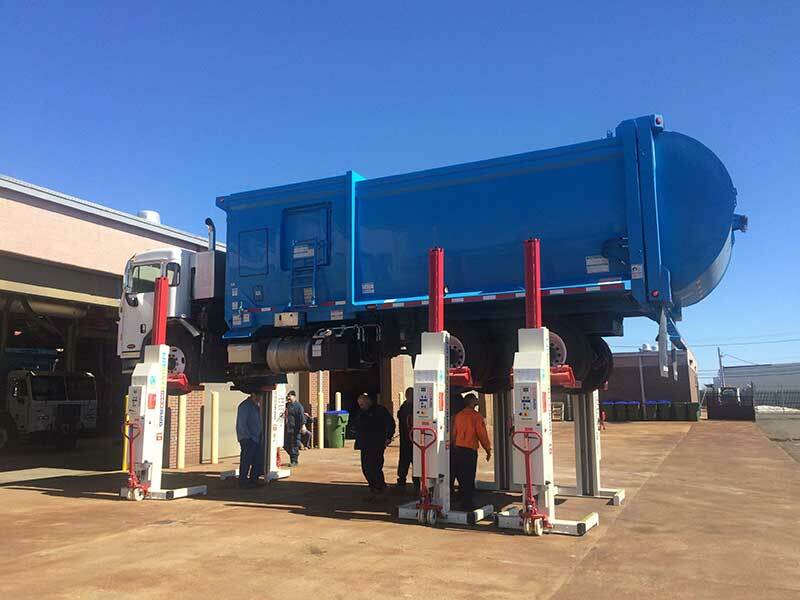 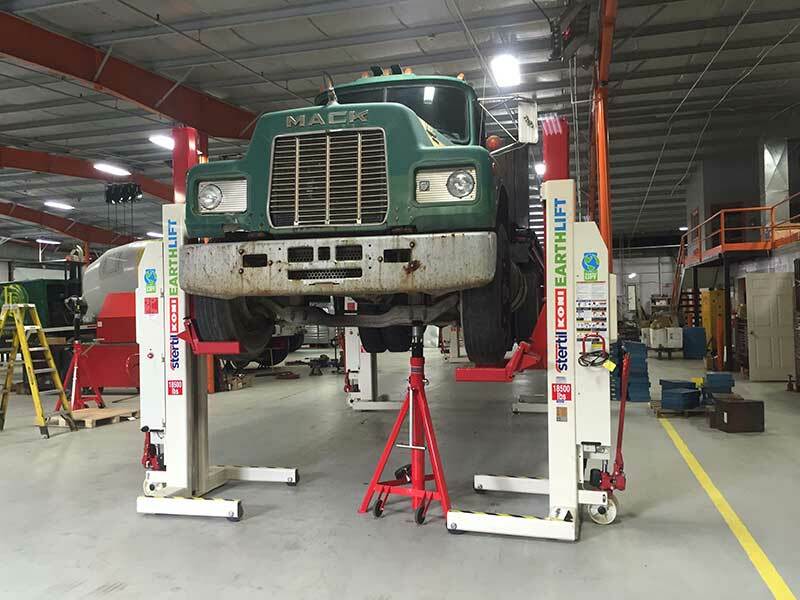 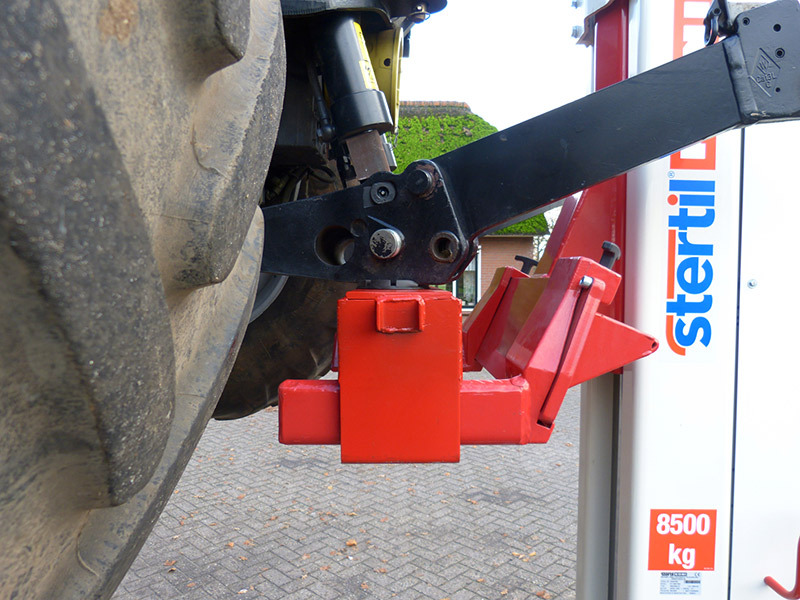 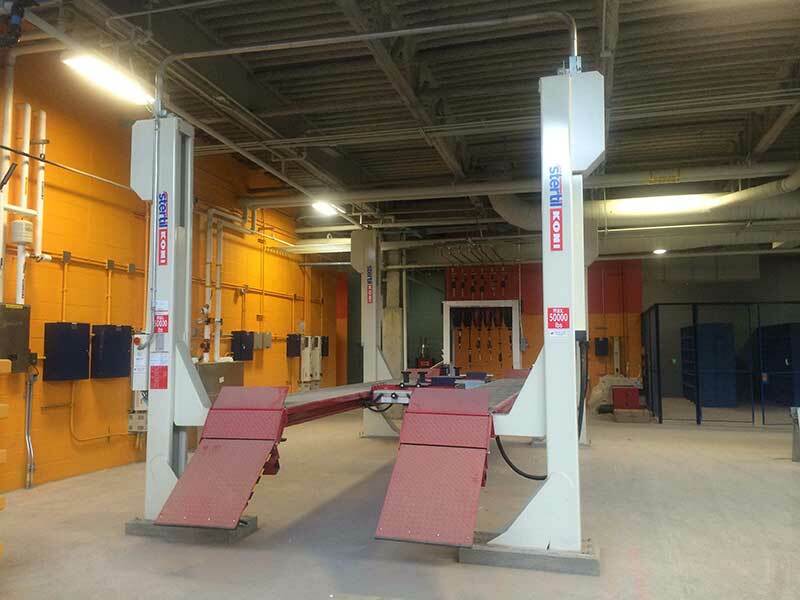 If you’re ready to upgrade to a new set of Stertil-Koni mobile column lifts, contact us for a free consultation – we’ll do you a deal in which you can trade-in your old mobile column lift in exchange for a brand-new, top-of-the-range Stertil-Koni set. 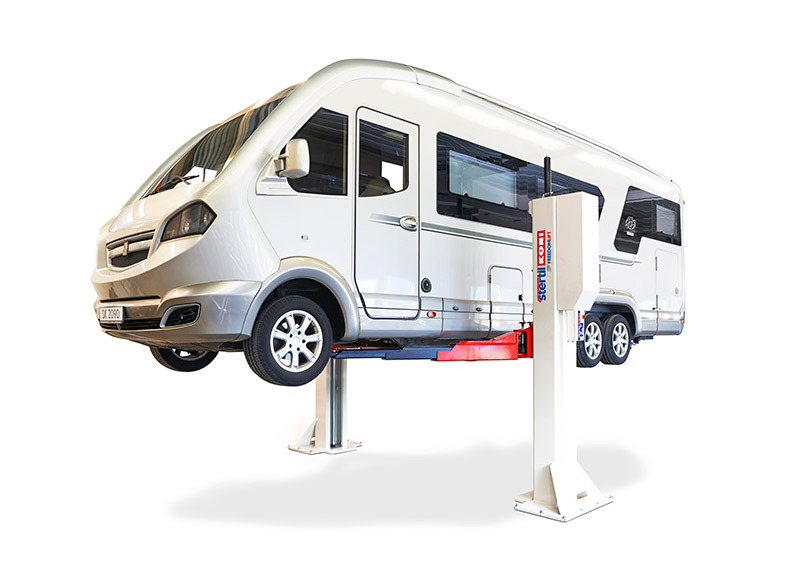 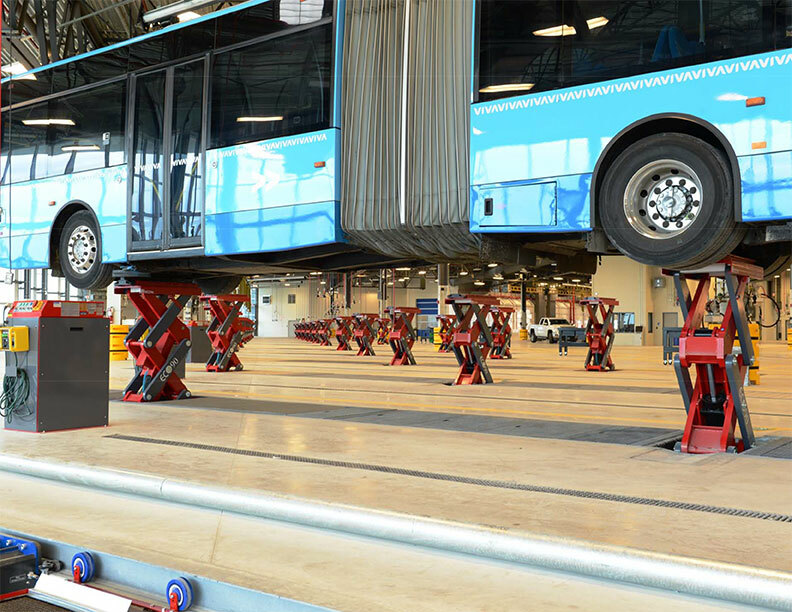 Automotive Lift Service Packages: Choose from scheduled on-site preventive automotive lift maintenance agreements, fixed cost service plans and non-scheduled breakdown call-outs. 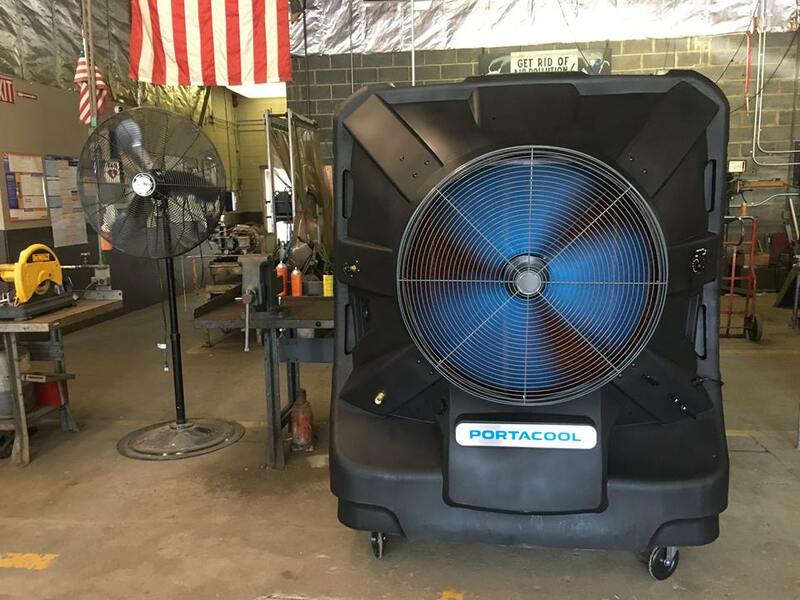 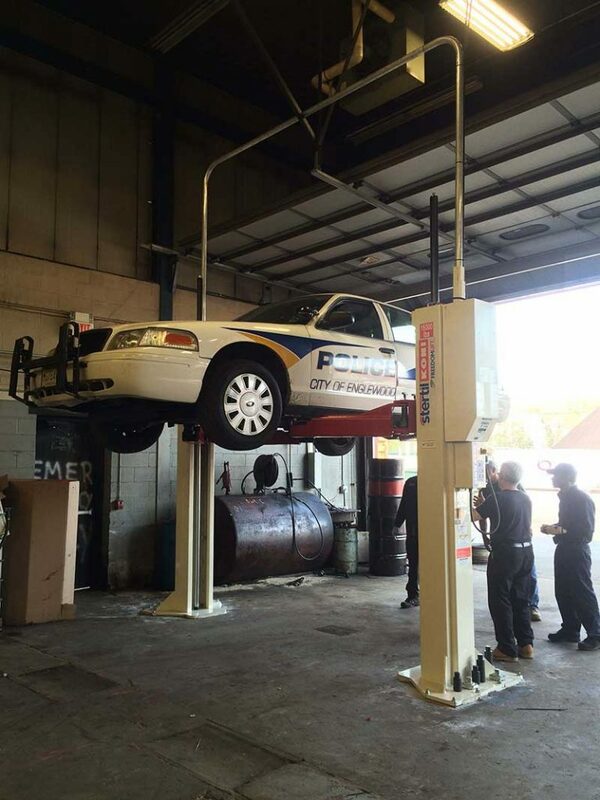 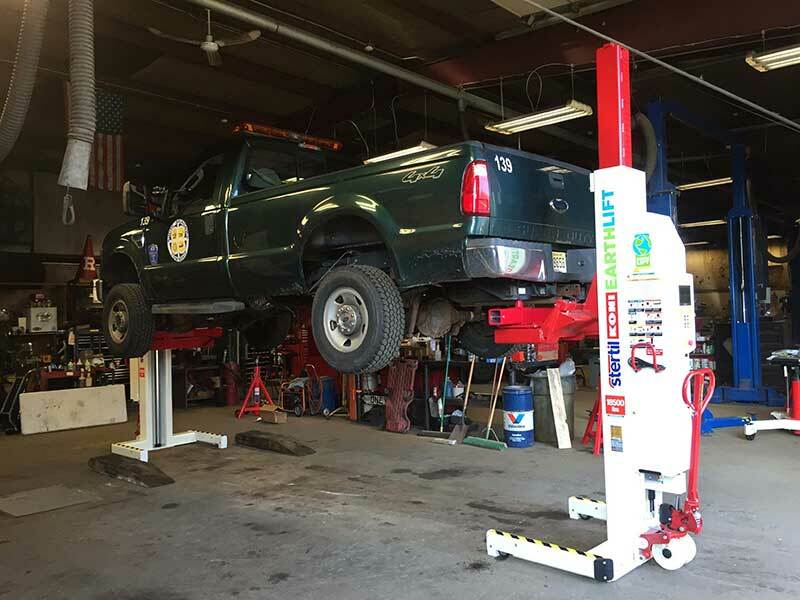 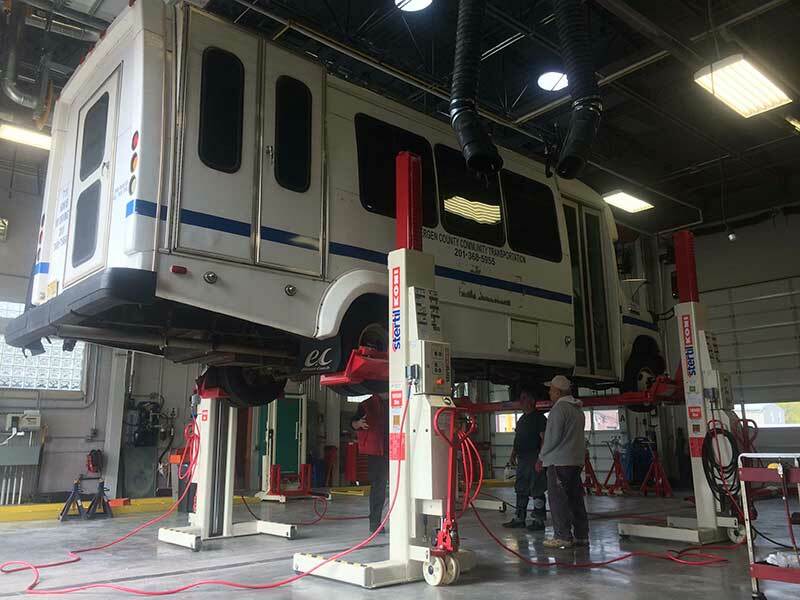 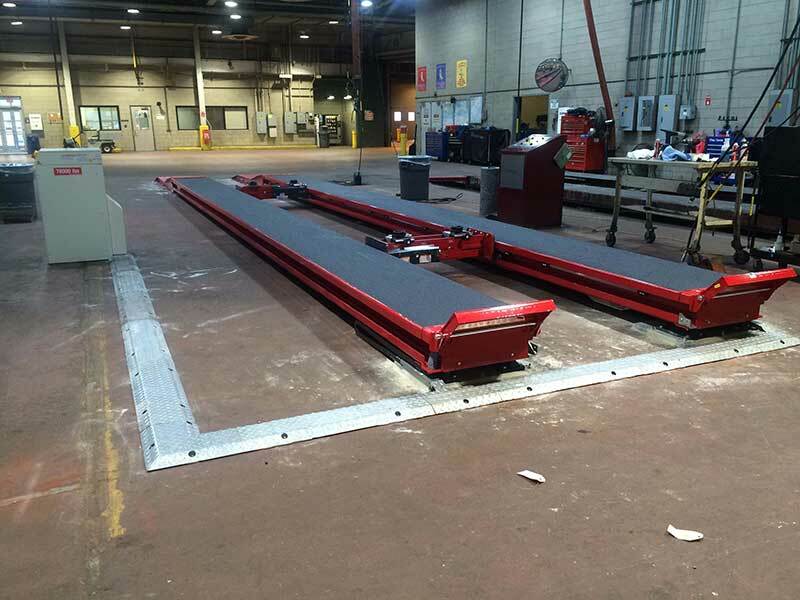 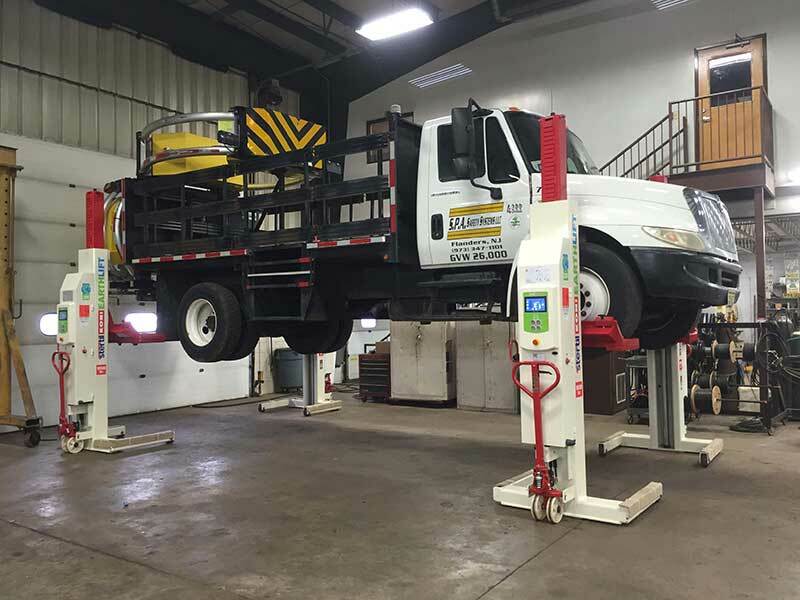 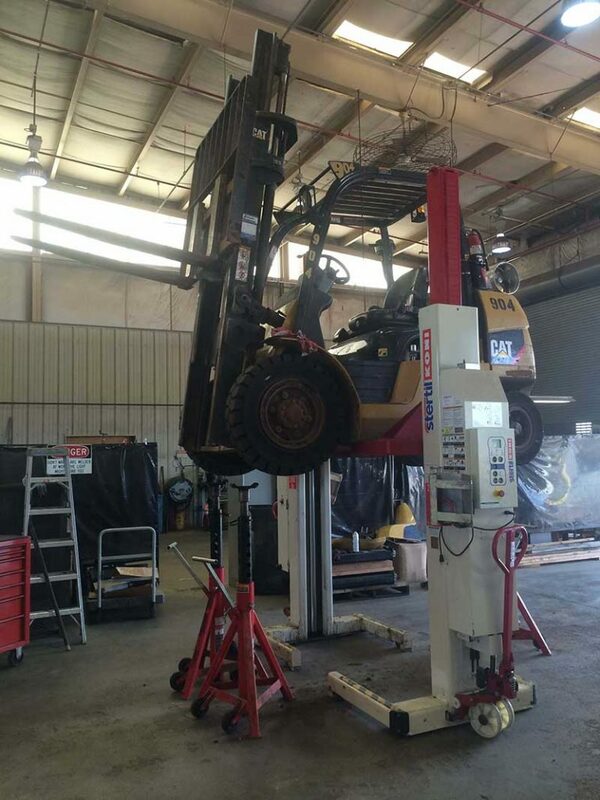 Preventive Lift Maintenance Agreements: For a low cost, annual fee, we will send one of our factory-trained specialist automotive lift technicians to your site to perform a 15 point service and safety inspection. 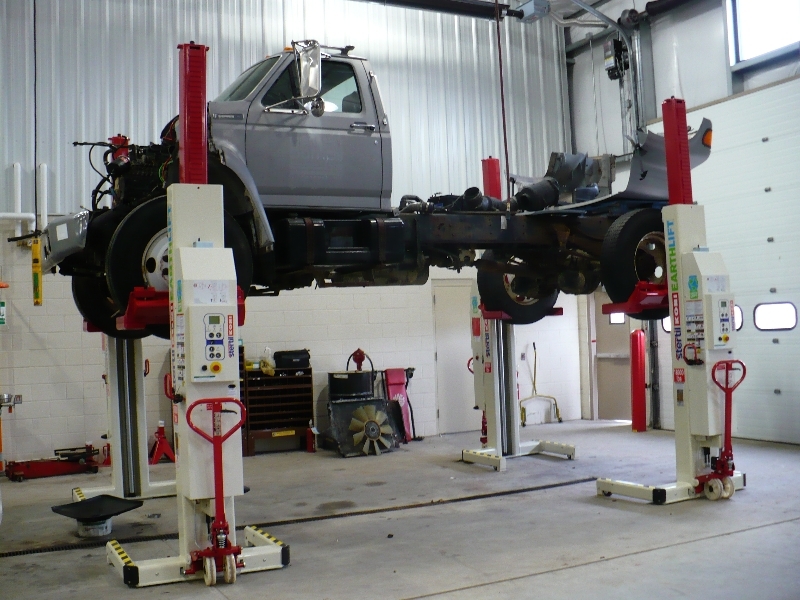 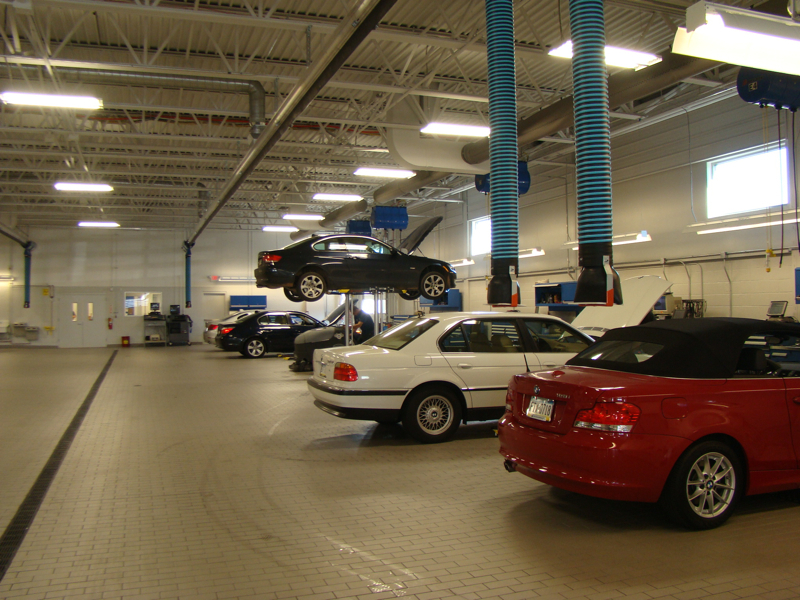 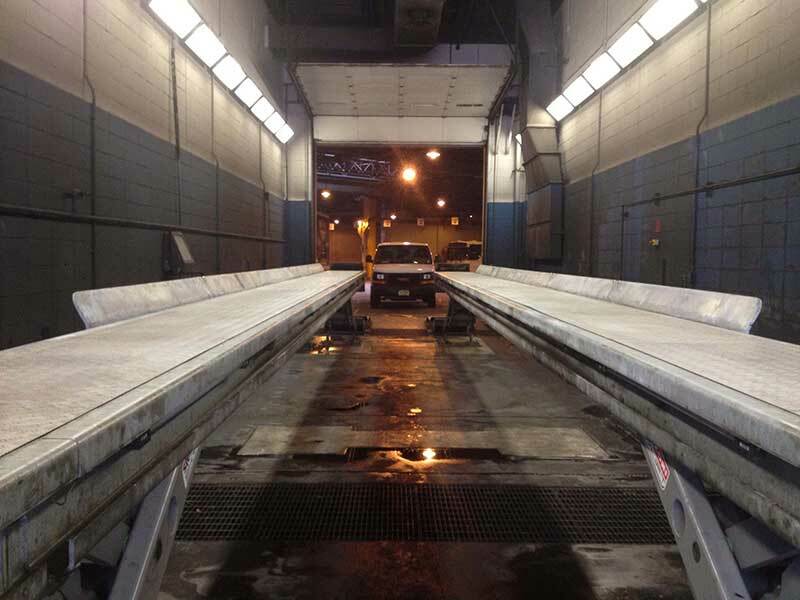 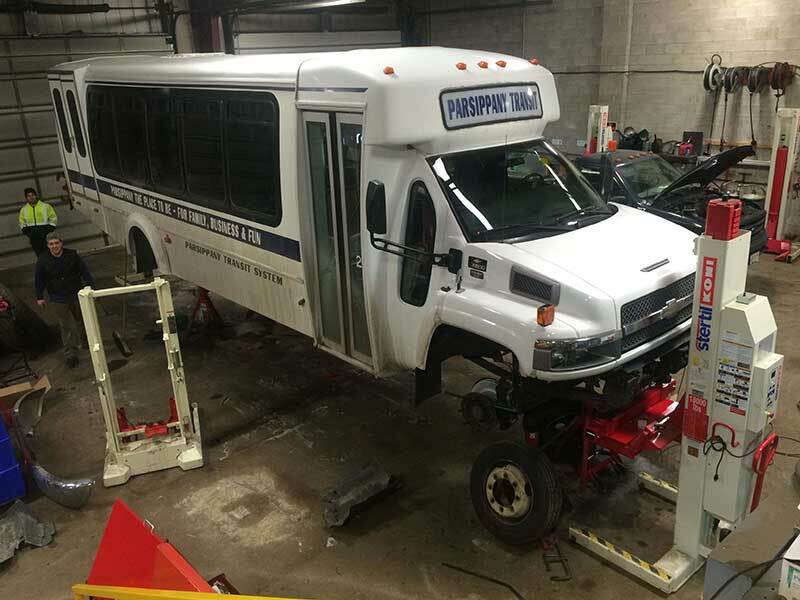 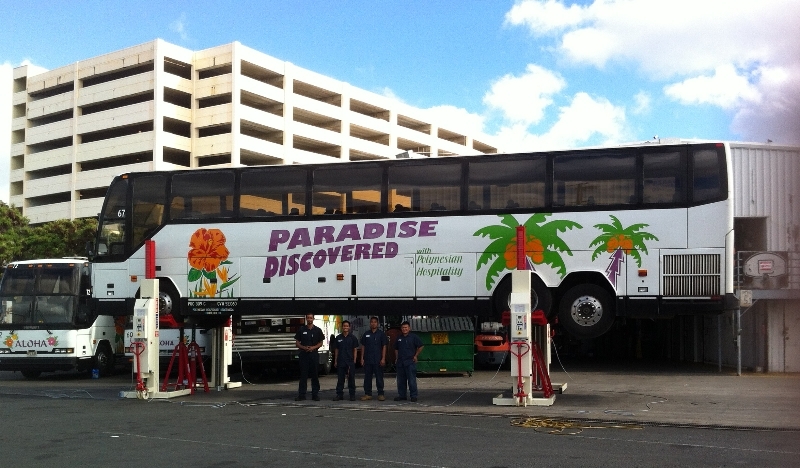 Non Scheduled Lift Breakdowns: We offer repairs, maintainance and trade-ins for all makes and models. 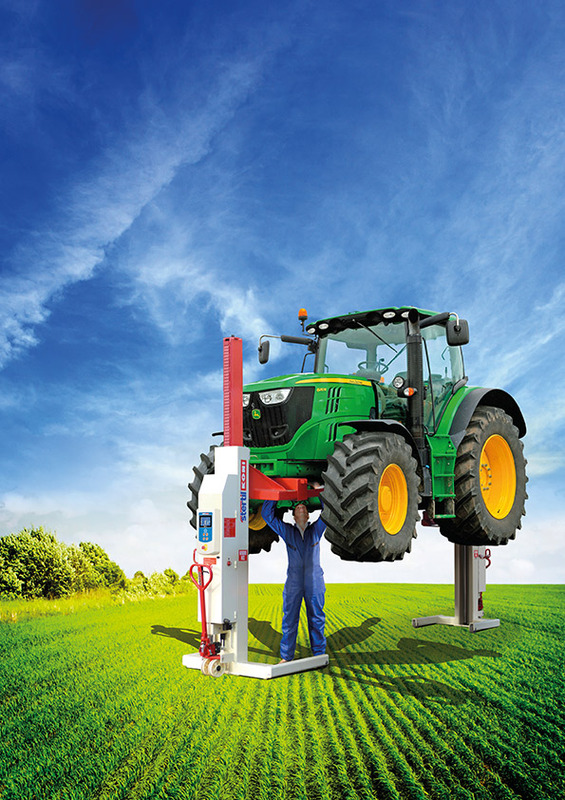 Technical support is available over the telephone at no charge to our customers. 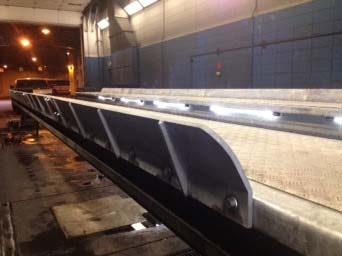 Refurbishment Program: We stock quality used equipment that’s in good working order. 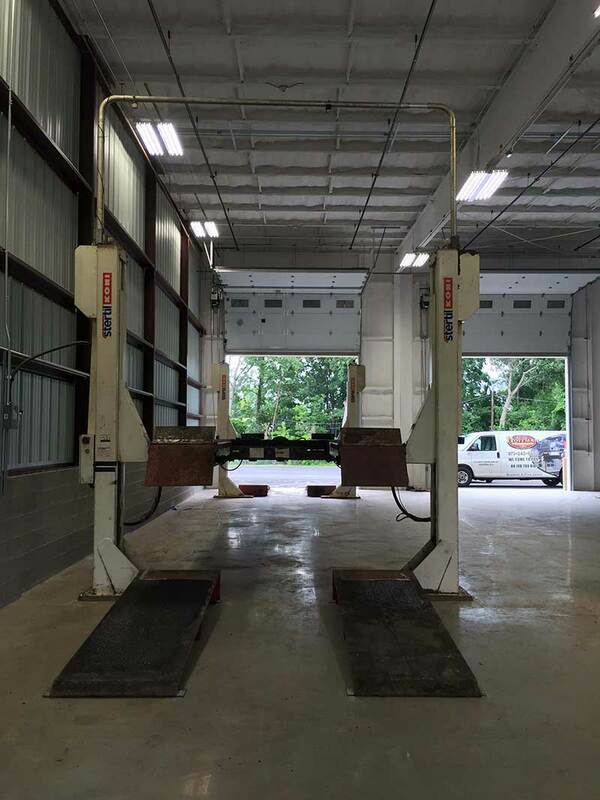 Please contact us if you are interested in buying refurbished equipment.